Marks and Spencer have asked us to design the flowers for their press shows for the last few years running. 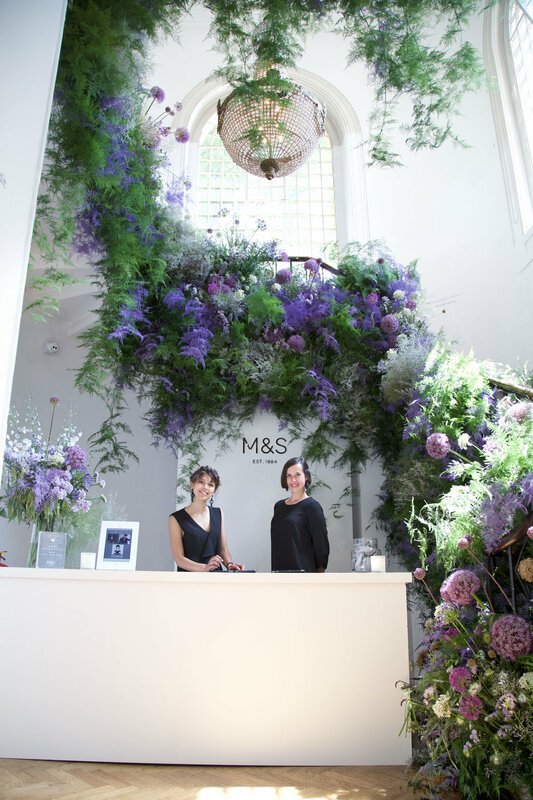 Their last two press shows have been at One Marylebone in London and we have loved using the incredible staircases on either wing of the building to create a floral welcome for their guests. 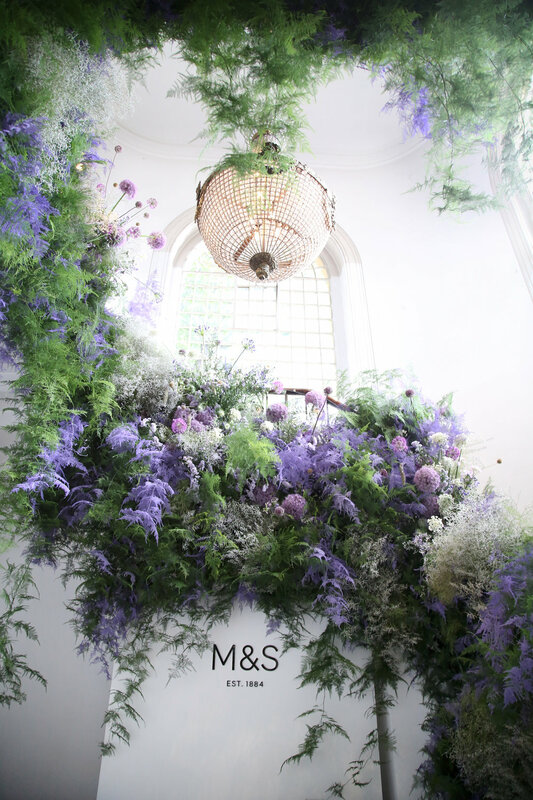 Their Spring/Summer staircase was full of beautifully scented Mimosa and lush green foliages to capture the freshness of their Summer collection and their Autumn/Winter staircase was an enchanted wild design based on the different purple hues that dominated the collection.